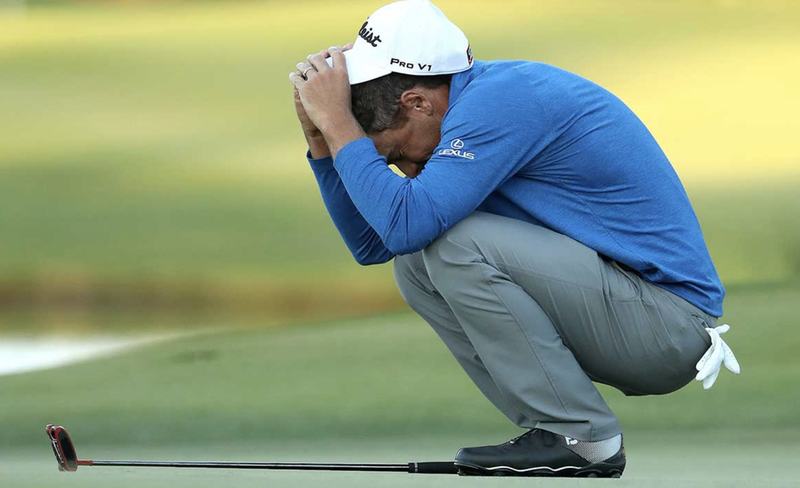 It is hard to imagine playing 333 events in between PGA Tour victories but that is exactly what Charles Howell III had to do over the last decade. He hit more than 81,000 golf shots on tour during that span. He also lost two playoffs during the drought but would not be denied on Sunday. CH3 missed birdie putts on the 72nd hole and first playoff hole before rolling in the 20-foot clincher. Third time’s the charm. He will make his first Masters start since 2012, an awesome accomplishment for the Augusta native. Best Stanford Golfer in History? Patrick Rodgers was definitely not thinking about winning the RSM Classic on Friday evening. The 5th year tour player made the cut on the number and then shot the lowest combined weekend score in PGA Tour history. He needed just 123 shots (61-62) on Saturday and Sunday, vaulting himself into the playoff. Rodgers now has 3 runner-up finishes in his career, but is still in search of his first PGA Tour victory. Cameron Champ continues to impress this fall as he notched his third top 10 finish of the season. Champ was tied for the lead early on Sunday but eventually fell to 6th place. Needless to say the front runner for rookie of the year is off to a hot start. Luke List shot a sneaky 63-65 on the weekend to jump up to a tie for 4th. He already has two top 5 finishes this fall and seems ready to break through for his first win. List came close last season but fell to Justin Thomas in a playoff in Florida. Expect big things from him in 2019. Jason Gore’s dream week hit a wall on Sunday with a final round 72. He had hung up his days of competition to sell insurance but took a Sponsor’s Exemption to the event. Gore had not made a cut on tour in years but found himself in the final group on Sunday. He eventually finished tied for 15th but this will be his biggest check in a long time. Matt Every is a PGA Tour grinder and got off to a quiet, solid start this fall. He notched two top 25 finishes including a T-15 this week. Every has played THIRTY events each of the past two seasons but lost his card both times. He gained his card back through Web.com Finals both times - let’s hope he can keep it the regular way this season. Francesco Molinari did not have the week he was hoping for but still captured the Race to Dubai title. Franky had a career year in 2018 that included his first major championship, victories at the BMW PGA and Quicken Loans, and a perfect 5-0 at the Ryder Cup. As the millennials would say, that is v good. Abraham Ancer put on a dominant performance in Sydney to win the Australian Open by five shots. The rookie had a solid campaign on the PGA Tour throughout 2018, but has really turned it on this fall. He had notched two top 5s before this victory and will be on the short list of up-and-comers to watch in 2019. Lexi Thompson completed a very strong week and won the CME Globe Tour Championship by four over Nelly Korda. Thompson has been very open about the struggles she has experienced this season on and off the golf course. She even fired her caddy before the event this week. This win is a great testament to her competitive nature and helps her salvage a lost season. She had not won since September of 2017. Andy is joined by Patrick Boyd, founder of National Custom Irons and golf course architecture nut. They discuss Patrick’s company, custom irons, his role at Sweetens Cove and much more. Listen to Part I of this podcast on iTunes, Stitcher, Spotify or the website. The Tom Doak designed Course One often flies under the radar in the Chicagoland golf landscape. Jason Way breaks down the option filled short par-4 13th - check out his post here.